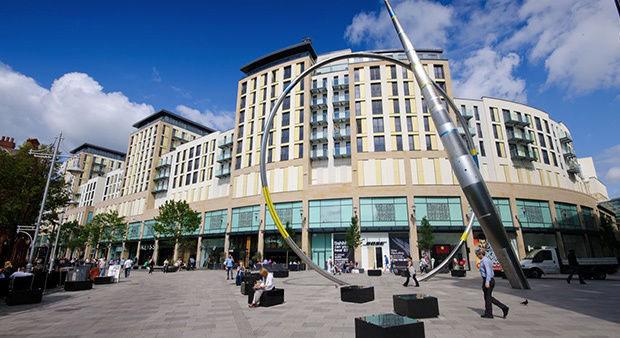 As one of Europe’s top shopping destinations, Cardiff is a great place to shop, shop, shop! 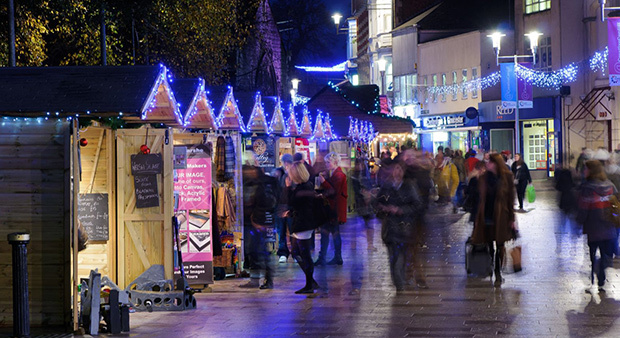 Cardiff is one of Europe’s top shopping destinations and is a great place to find the perfect present for your friends back home. It has one of Europe’s biggest shopping centres and there are also lots of charming Victorian arcades as well as exclusive city boutiques. Shopping in Cardiff can be a great experience. Find a bargain at one of the markets. Buy a traditional Welsh gift such as a love spoon or rugby shirt to take back home. 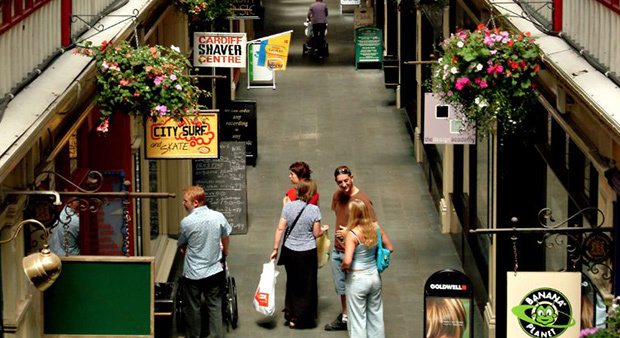 Shop until you drop in Cardiff’s modern shopping centres or travel back in time and explore the charming Victorian Arcades. 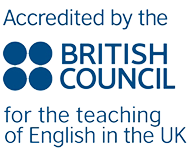 Celtic English Academy is located right in the heart of the city. It is only a few minutes away Queen Street which is the main shopping street in Cardiff. The Hayes is one of Cardiff’s most beautiful shopping streets. Here you can find many designer stores and boutiques as well as some of Cardiff’s most attractive buildings, such as St John’s Church which was built in the fifteenth-century. Along the Hayes you can also find Cardiff Central Library and Cardiff Tourist Information Centre. Several supermarkets and local food stores are also located very close to Celtic, so you can easily do your daily shopping. These supermarkets sell everything you need from food to toiletries. There are also several large supermarkets outside the city centre. A lot of small food shops near Celtic sell a wide-variety of food from different countries, so you will always feel at home. Cardiff has six charming Victorian arcades. These arcades have beautiful architecture and house exclusive boutiques and independent shops. They are great if you want to find something a bit different. One of the oldest shops is called Spillers Records which opened in 1894. It is oldest record store in the world. Cardiff has two main shopping centres: The Capitol Centre and St. David’s Shopping Centre. St David’s 2 opened in 2009 and has a wide variety of well-known high street names as well as designer stores. There are plenty of coffee shops and places to eat in the shopping centres if you need to take a break from shopping.